*Previous member of the Scandinavian Commitee for Standardization of routine Patch Testing established in 1962. Photo of members in 1967. Picture of the first 11 members. 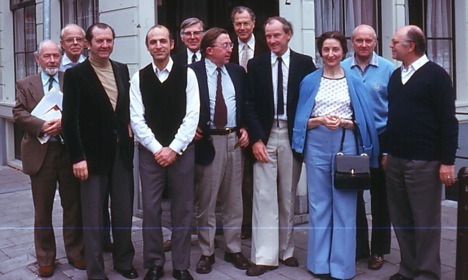 From left: Darrell Wilkinson, Veikko Pirilä, Carlo Meneghini, Howard Maibach, Klaus Malten, Niels Hjorth, Bertil Magnusson, Sigrid Fregert, Etain Cronin, Charles Calnan, Hans-Jurgen Bandmann.